Growing up in Bend, OR. Mick Mortlock looked up to his Uncle John. Uncle John Jones visited his house…a lot. In meetings with Mick’s dad and other friends, they filled up the living room, dining room with campaign materials like yard signs and door hangers. They stayed up late planning strategies and talking about what Uncle John would do to help the community and the country, once he was elected. John Jones was running for Congress. He would later serve as an aide to Senator Neuberger. To 4-year-old Mick, this imprinted the ideal of public service through politics as a way of life. Mick would watch every subsequent Democratic convention, meet Presidential candidate Nelson Rockefeller. As an adult, Mick served in the Air Force, and ran for the Oregon State Legislature. 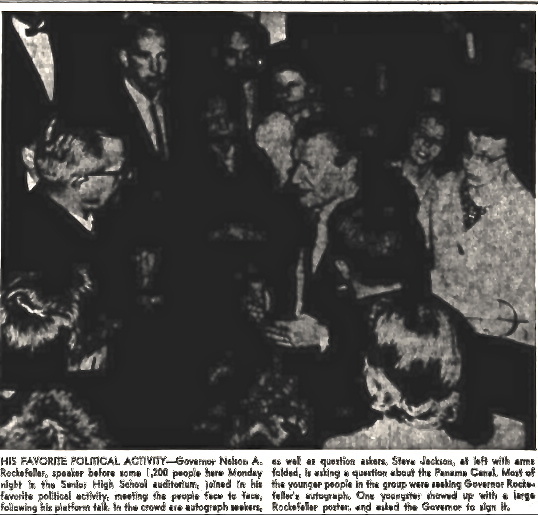 As Mick report he went to the university “and radicalized.” He was elected to represent NW Portland for “Bend in the River” an organization connected with Oregon’s Conservative Environmentalist Governor, Tom McCall. What motivated Mick was being connected to something larger than himself and contributing back to society. He created ballot measures and sent them to newspapers around the country as a referendum for dialogue. He is always busy thinking about new ways to get people talking and involved. Today, Mick continues his many contributions as President of Healthy Democracy, a citizen initiative review process for ballot measures in Oregon. Their recent deliberations were observed by other organizations and states for possible replication. A big nod to the Healthy Democracy team. It’s people like Mick who dive into the deep end that keep our civil society moving by poking and prodding the political system, the politicians and yes, the citizens and community members to remind us all to do our jobs.